Can your DNA tell you what diet is best for you? Whether its shipping our saliva to uncover our ancestry, altering our DNA for an athletic edge or subconsciously choosing friends with similar genes to ours, the more we learn about our genetics the more we want to know. And now our genetics may finally be making their way to our plates (and we're not talking about GMOs). There has been a recent surge in nutrigenomic eating - the idea that you have specific reactions to certain foods and eating habits which can be illuminated through analyzing your unique DNA. Once such plan is called Genotique, founded by a team based in Toronto. Dr. Aylia Mohammadi and registered dietician Sheri Maltais were working on a project examining diet and inflammatory bowel disease, when the large variances in data caused them to dream up a more personalized approach to nutrition. "That's why nutrition research that makes the headlines can be so confusing - there are so many conflicting results", says Mohammadi, "One driver of individual dietary responses is our genetics, which is why we use DNA as the starting point of tailoring our nutritional recommendations to each individual." Their process analyzes your DNA (via saliva sample) to uncover genetic variants related to metabolism, taste, sensitivity and adverse food reactions as well as physical performance, exercise recovery and risk of injury. This genetic profile is then combined with your individual health history as well as your current wellness goals and behaviours to create a unique lifestyle plan, along with an assigned dietician (and a variety of customizable programs) to help you along. Maltais says their goal is "to break the diet mentality. We all have a unique response to food and what works for one may not work for another." Many of us anecdotally know this to be true - we all have friends who can binge on ice cream without ever gaining weight or having an upset stomach - but the pair believes that the right food choices can have farther-reaching benefits. "The foods we choose are rich in nutrients that influence our endurance and strength, play an integral role in disease prevention, and impact our sleep, mood and mental health", says Maltais. "Caffeine", offers Mohammadi, "has differential effects on endurance performance based on whether you are a fast or slow metabolizer. Knowing this can help you tailor your pre-workout approach." While it sounds like solid logic, not everyone is ready to accept nutrigenomic eating just yet. Family doctor and health writer Dr. Melissa Lem points to a 2015 study which indicates "that nutrigenomics in practice does not appear to have any meaningful effect. Hundreds of genes and your environment interact to control weight and exercise response, so it's an oversimplification, given our current state of knowledge, to suggest that genetic testing can unlock the secrets to your health." 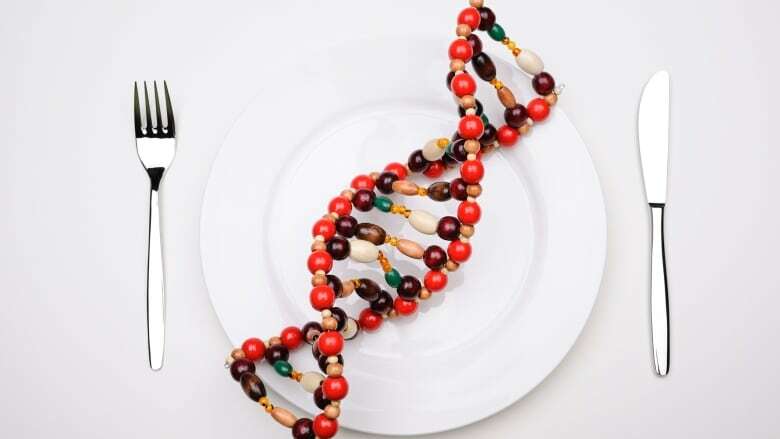 Dr. Christopher Labos believes that the effect of following a nutrigenomic diet is minimal at best, because your important genetic information is already clear. "How you metabolize caffeine probably doesn't matter because someone who is more sensitive to caffeine will already drink less coffee", says Labos, "You don't need a genetic testing tool to confirm stuff that is already self evident." However, the Genotique team believes the general public may be on a learning curve with nutrigenomics, highlighting a study that suggests there is a 17-year average gap between scientific findings and health practitioners actually implementing that information with their patients.Still, they acknowledge that the nutrigenomics field, while promising, is still new and evolving. Another issue is that, even if nutrigenomics are effective, the individual still has to adhere to them. Both Lem and Labos point to a recent meta-study that reported only 12% of participants actually improved their diet and exercise habits after receiving genetic testing. That seems to be an across-the-board issue with all wellness information - the information is only useful if you actually use it. Lem concedes that "it's the follow-up support that would probably be key to long-term benefits." Mohammadi and Maltais don't believe in wiping the slate completely clean when it comes to your lifestyle, instead suggesting that the key is meaningful consistency rather than hard-to-maintain strictness. "We​ should be able to incorporate foods and beverages we enjoy and can tolerate well even if they aren't ideal", says Mohammadi, "What I think people do that sabotages our wellness is expecting perfection. If you're driving a car and get a flat tire, do you get out and slash the other three tires? No, you get out, you fix the one tire, then move on. Instead of expecting perfection and living in rigidity, let's instead embrace consistency and progress, and focus on building resilience in our health." When asked if there's something we could all do right now to start optimizing our health, the four experts' answers were delightfully unsurprising. "Don't smoke, exercise more, eat more fruits and vegetables, this will hold true no matter your genetics", says Labos, while Lem suggests incorporating more plant-based protein along with minimizing sugar and simple carbohydrates as well as avoiding highly-processed foods. Mohammadi recommends keeping your food selections as colourful as you can, while Maltais re-enforces that "We could all eat more vegetables!" So in your never-ending quest for optimal health, no matter which path you choose, that kale won't kill you.